D-Tools System Integrator 2018 Delivers Enterprise-level Functionality for Commercial Integrators and Technology Managers | KMB Communications, Inc.
CONCORD, CA — D-Tools, Inc., the worldwide leader in data-driven system integration software, announced today the availability of its newest version of the award-winning System Integrator™ (SI) software – SI 2018. 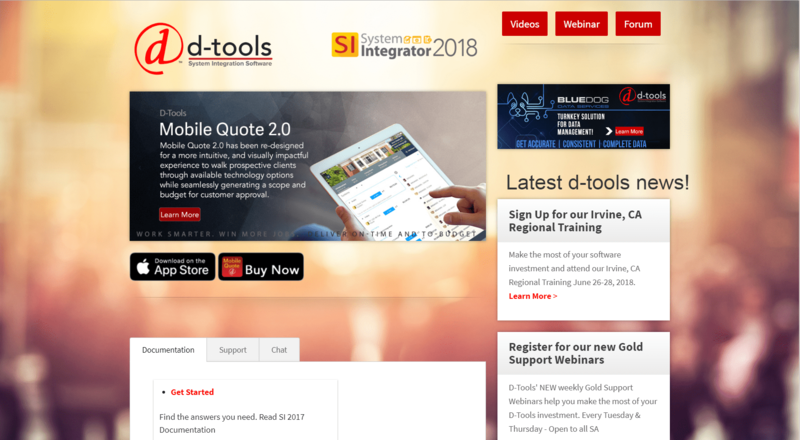 To see how D-Tools System Integrator 2018 can deliver profound visibility, insights, sign up now for a free, personal online tour by visiting http://d-tools.com/live-demo-webinar/. A free 30-day trial of D-Tools can also be downloaded anytime at http://d-tools.com/hosted-free-trial-signup/.